Can You Play Multiplayer Co-Op? Check out this Far Cry: New Dawn guide on multiplayer, co-op play within the game. Including online two-player news, how to co-op play, and more! 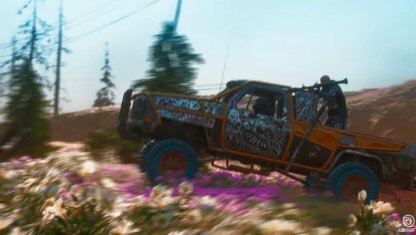 Far Cry: New Dawn has been confirmed to have cooperative play within the game. Players can recruit a real-life friend onto an online co-op session to help them complete their objectives. 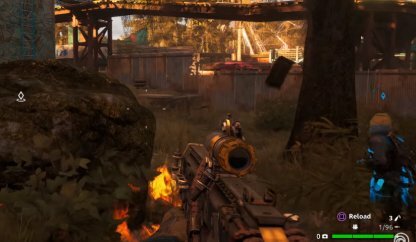 Co-op allows two people to play Far Cry: New Dawn together via online play, however, local play has yet to be confirmed or announced. In co-op, players who recruit a real-life friend will give them the role of their partner NPC during the mission or expedition. Recruited players will take control of the NPC & help the main player with their in-game objectives. Go to your in-game menu and cycle through the tabs - find "Online". Here you can invite a friend into your co-op mission. 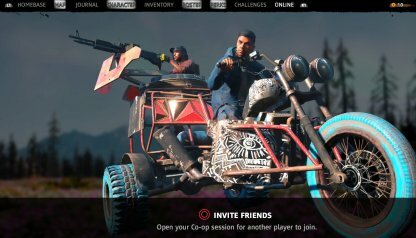 In order to play co-op in Far Cry: New Dawn, the people you will invite should already be part of your friends list. You'll automatically be prompted to choose from the list when you "invite friends".